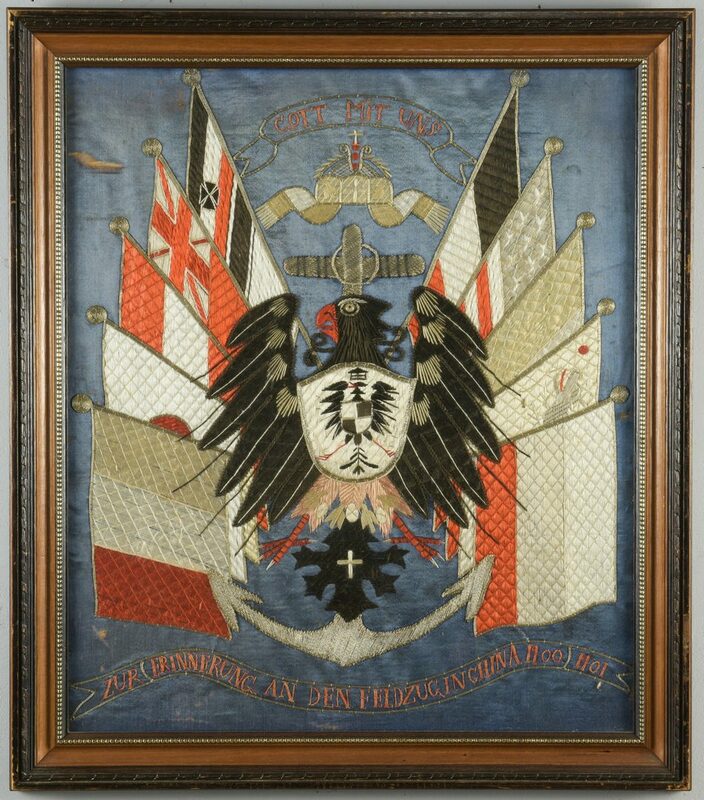 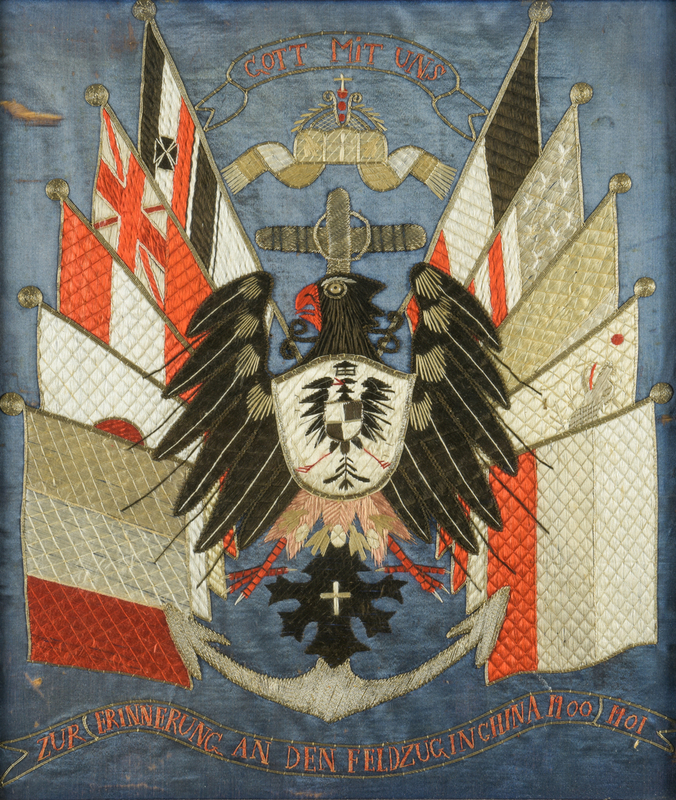 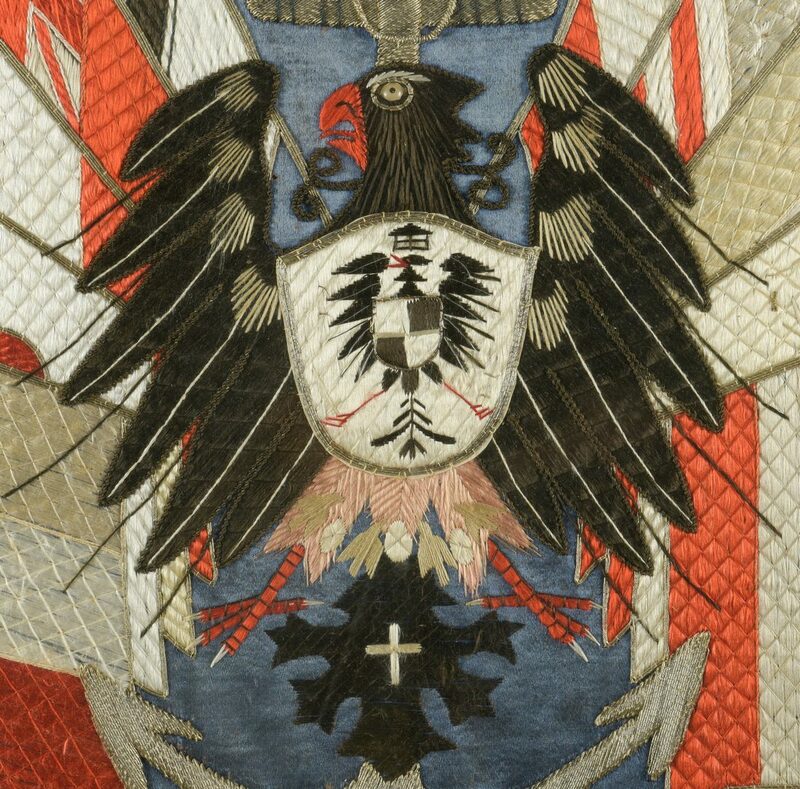 Framed German Boxer Rebellion embroidery panel on a blue silk ground; central German flag surmounted by a cross and the Imperial crown, flanked by ten flags representing the international force allied against the uprising and an anchor below, wrought in multi-color and metallic threads. 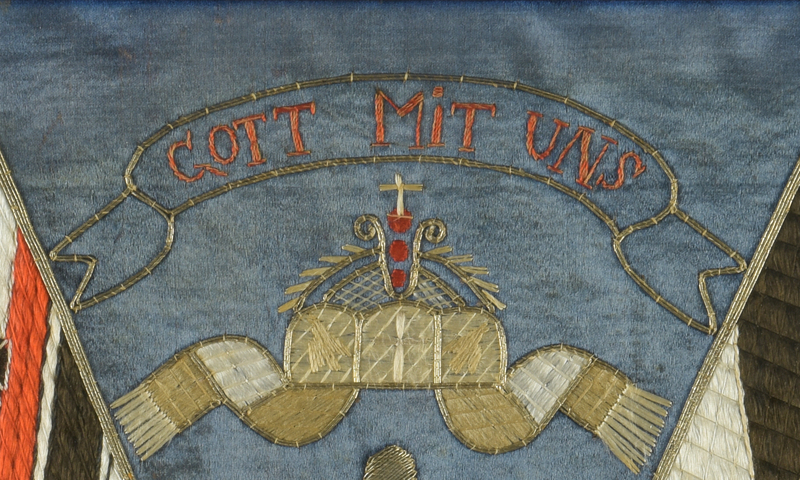 Banner at the top reads “Gott Mit Uns” (God with us) and banner at the bottom reads “Zur Erinnerung an den Feldzug in China 1900 – 1901″ (In memory of the campaign in China 1900-1901). 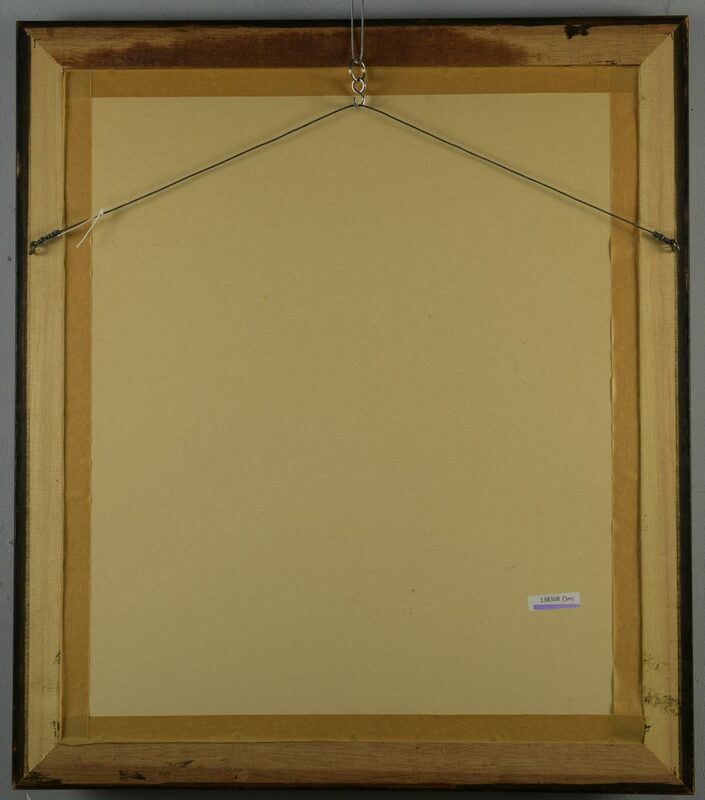 Sight – 22 1/4″ H x 19″ W. Framed – 26″ H x 23” W. CONDITION: Scattered losses to blue silk ground, primarily left margin, overall fading to blue and embroidery.